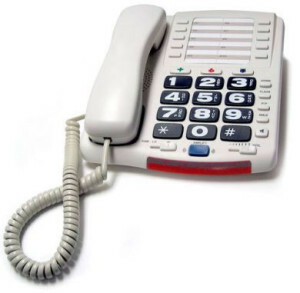 StarPlus Standard - Krown Manufacturing, Inc.
Amplified telephone ensures louder and more understandable conversations. The incoming voice by 200 times, its advanced circuit design and electronic anti-feedback filter makes every word clear and easy to understand without any distortion. It also comes with a 95db tone ringer and bright indicator to enhance incoming calls. 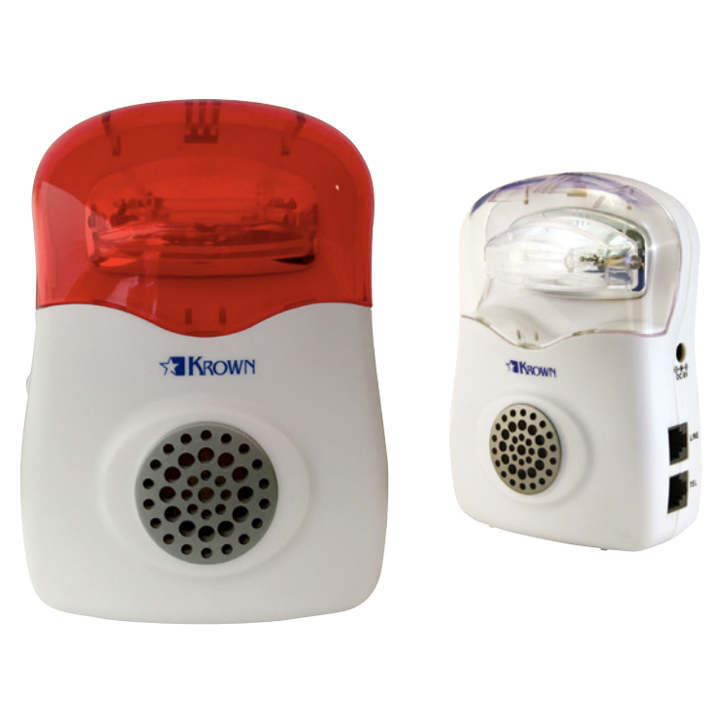 Built in amplifier increases incoming sounds up to 53db louder that can be set for personal preference to turn on automatically or manually each time the hand set is lifted. Light Weight Construction for long lasting durability. 3 Emergency number buttons programmable for easy access to fire, police or ambulance personnel. Separate volume and tone controls to contour personal settings covering low and high frequency ranges. Adjustable volume control to help compensate for ambient background noises. Tone selector for adjusting sound clarity and distinguishing similar sounding words. Tactile indicator on keypad to aid low vision users in finding and using function keys. Lighted key pad with large push keys for easy dialing. Super bright ring flasher to enhance incoming calls. Super loud adjustable (Hi/Med/Low) ringer (95db) to help compensate for environmental noise. T-Coil compatible handset for those individuals with electronically enhanced hearing. Music on hold feature for professional enhancement.